According to legend, Foibhne, son of Taircheltar, was slain here. Binevenagh is unmistakable with its impressive basalt cliffs, 1235 ft. high, and a lower series of broken crags resembling fangs. 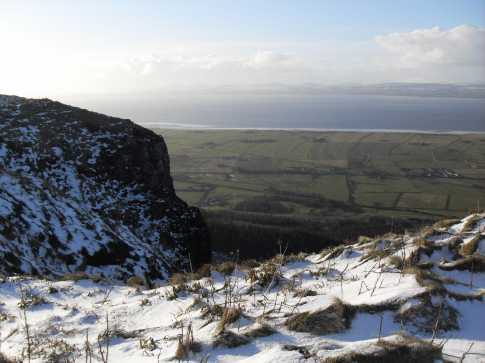 Binevenagh is the third highest hill in the Keenaght area and the 984th highest in Ireland. Binevenagh is the most northerly summit in the Keenaght area.